Canapes are perfect for all types of parties and gatherings. They are easy to serve and are a real crowd pleaser. 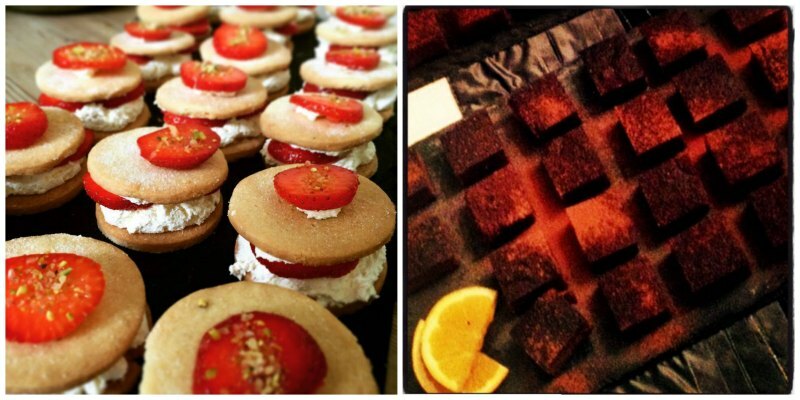 But what to think about when deciding on which canapes for your event? Think bold flavours! With canapes, they may only be a mouthful, but you want the mouthful to pack a punch. They also want to be easy to eat, especially if you remember that your guests will be holding a drink in the other hand. For a pre meal canape reception I recommend picking three canape flavours, usually two meat and one vegetarian, as well as a mix of hot and cold. For an event where it is solely canapes I would suggest to pick four flavours, not forgetting the sweet flavour! I would always recommend pre meal canapes if you are having a long day celebration (such as a wedding). People often arrive having not eaten a full meal beforehand and there can be a long gap between the start of the day and the main meal. Plus you don’t want people to drink too much! For this I would recommend three to five canapes per person. 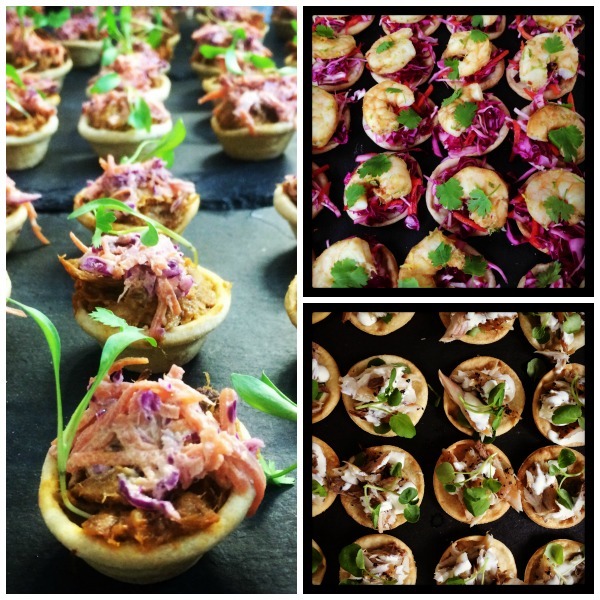 You always want a variety of colours, flavours and textures when creating a canape menu, think VARIETY! Don’t forget the vegetarian canapes! Even if you don’t know if there will be any vegetarians coming to your event, it is always good to have a vegetarian option, and the meat eaters can enjoy them too! 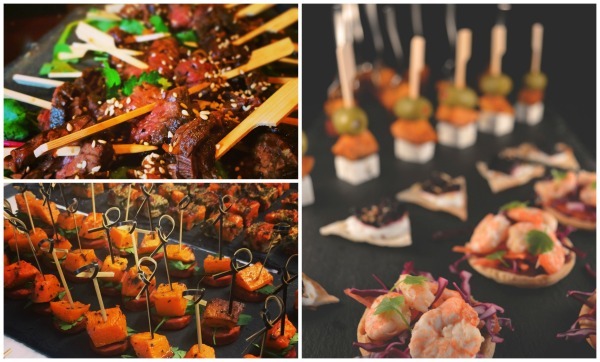 If you are having a canape reception without a main meal I would always recommend a sweet canape to finish, you wouldn’t serve a three course meal without a dessert, so don’t forget it with the canapes too! 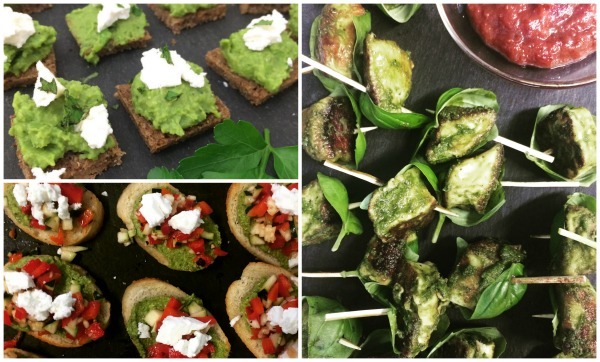 I love creating colourful canapes that are a feast for the eyes as well as the mouth! Whatever canape you choose, make sure it is full of colour! Contact me to discuss creating a canape party for your next event. Want 5% off your event catering? Sign up to my newsletter!